Wild Care, of Eastham, has been treating injured, ill and orphaned native wildlife since 1989, with a goal of releasing them back into the wild capable of independent survival. Wild Care works to prevent wildlife casualties through public education and live counseling, and to engage the community in conservation through volunteerism. Most recently they rescued a red-necked grebe from the frigid waters of Rock Harbor. Read about this rescue, and about Wild Care on their website. It looks like the Town of Wellfleet will be limiting the size of new homes built in the National Seashore to 3,600 sqft total and 2,800 sqft of living space. This will apply, primarily, to home renovations and (the ultimate nenovation) tear-downs. Read the story in the Cape Cod Times. The Wall Street Journal's MarketWatch published a story that highlighted why 2009 is the year to buy a home. Take a look at this story, Here... There are plenty of nay-sayers, but most of the points are good. Clearly, the low mortgage interest rates, increased inventory, and lower home prices make a strong argument in favor of 2009 being a good year to buy. This year marks the 29th anniversary of the Hyannis Marathon, which is being run this year on Sunday, February 22nd. The day's events also include a 5K "Fun Run", a 10K, and a half marathon. Go to their website for race details. This race is a Boston Marathon qualifier race and is capped at 4200 runners. The Hyannis Marathon is a two loop course, which is extremely picturesque & historical along Craigville Beach, Kalus Beach, historic Hyannis Harbor, Lewis Bay, John F. Kennedy Memorial, and the Kennedy Family Compound. The course is paved and mostly flat with a few rolling hills, ideal for a late winter/early spring race. 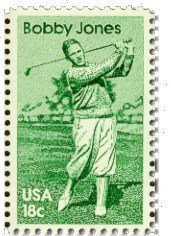 Early golf legends, Bobby Jones and Francis Ouimet, played golf at Eastham's Cedar Bank Links, a private course that was constructed in the mid 1920's and existed until just after World War II. 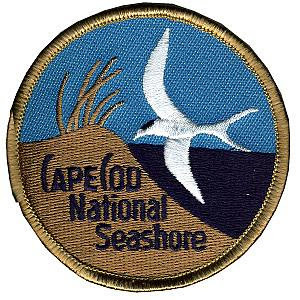 The course dominated the landscape that today is occupied by the Cape Cod National Seashore's visitor's center and the land surrounding Salt Pond. In fact, the parking lot of the visitor's center sits where the nineth hole use to be. The 17th green was near where the boathouses stand today. An interesting history of the Cedar Bank Links can be found on the Golf on Cape Cod website. It looks like President Obama's housing plan has a 'benefit' for the responsible homeowner (one who's continued to pay their mortgage payments on-time in spite of the realities of home value deterioration). The plan was carefully engineered to help only those 'responsible homeowners' who need help the most. Read the details in this CNBC.com article. I have my own 'stimulus plan' for anyone Buying or Selling Outer Cape Cod real estate this spring. Call me for the details. What do a rare blue lobster and Elvis have in common? Not much, except they share a short video from the Cape Cod Times. Blue lobsters are found a few times a year in the waters of Cape Cod and Maine. Last year there were two that I know of, one in Provincetown and one in Wellfleet. This one turned up in a Bourne seafood store, probably found in Maine waters. Take a look at this video, and sing along! For more information, go to the NPS website... Here. Below is a graph of the median single family home sales data, comparing 2008's sales to the sales of 2004, the year before the current real estate slowdown began. As you can see, with the exception of Chatham, prices have suffered somewhat since 2004. However, they have held up well in comparison to the national average of roughly a 30% decline. 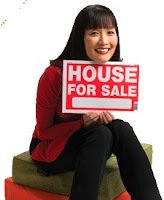 Sometimes potential home buyers need to sell their current home in order to afford their 'next' place. Although not that common in Eastham and the Outer Cape (since many of the purchases are for second homes), it can be the norm in some areas. The 'difficulty' is that the sellers aren't particularly interested in waiting for the buyers to secure a viable offer on their home. Sometimes the wait can drag on for significant periods of time, especially in the slow market that we have seen for the last few years. Fortunately, it doesn't have to be that limiting for the sellers. HGTV's FrontDoor website has an article that details these contingent sales. Go to FrontDoor.com. It appears that the $15,000 tax credit available to all primary residence home buyers, as part of the 'compromise' Federal bail-out package, has been scaled back to $8,000, and available only to first-time home buyers. The 'rules' for the $8,000 tax credit mirror those of the prior $7,500 credit with one significant change. The change is that this tax credit doesn't have to be repaid. While the scaled back tax credit is better than the prior provisions, it probably won't do much for the real estate market on Outer Cape Cod. This is true since our typical buyer isn't a first time home buyer. The Cape Cod Times does a daily video-blog to highlight various locations on Cape Cod. Today the newscaster is walking on Coast Guard Beach, in Eastham. He "walks" is the steps of Henry Beston, the author of the well known book, "The Outermost House". Enjoy! Here is another photo of the 40ft fin-back whale that beached itself last Thursday in Eastham. Click on the photo to enlarge it and see another. These photos were taken by a friend, Chantal Burke. Also, check out the Midnight Gardener Blog for a few more whale photos, and some great winter sunsets. The 'talk' of the weekend in Eastham has been to rare 40 foot fin-back that came ashore on Dyer Prince Beach (just north of Rock Harbor) in Eastham this past Wednesday or Thursday. The animal was alive when discovered, but soon after died of exposure on the beach. The photos are truly amazing. Take a look at the photos on the Turtle Journal. I'll have a few more photos tomorrow. Bob Sheldon On HGTV's Househunters Show - This Monday! The episode that I did for HGTV's House Hunters with one of my Client-couples as part of their "Waterfront" series is scheduled to be re-broadcast tomorrow, on February 9th at 9 PM . 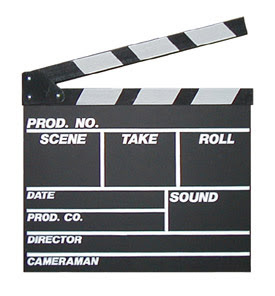 We filmed 3 houses, one each in Eastham, Wellfleet, and Brewster, with my clients ultimately purchasing one of them. See if you can guess which one! The show was a lot of fun to do. Be sure to watch it, or at least TiVO it to watch later. The Senate last night approved a $15,000 tax credit for home buyers as part of the Obama stimulus package. Some 'experts' call it a good start, but they believe that it won't do anything for the vast majority of potential home buyers. Go to the article on CNBC.com to read about the tax credit and why it may not be the solution our lawmakers are looking for. Any real estate property owner or investor of real estate, should consider a 1031 exchange when he/she expects to acquire a replacement "like kind" property subsequent to the sale of his existing investment property. Anything otherwise would necessitate the payment of a capital gain tax, which can exceed 20-30%, depending on the federal and state tax rates of your given state. To make it easy to understand, when purchasing a replacement property (without the benefit of a 1031 exchange) your buying power is reduced to the point, that it only represents 70-80% of what it did previously (before the exchange and payment of taxes). 'Exchanging' a property, represents an IRS-recognized approach to the deferral of capital gain taxes. It's very important for you to understand the components involved and the actual intent underlying such a tax deferred transaction. It is within Internal Revenue Code Section 1031 that we can find the appropriate tax code necessary for a successful exchange. Go to http://resources.robertsheldon.com/ for a few links to 1031 exchange companies, where you can learn about these exchanges. Please note that an important ingredient of a successful exchange is a qualified exchange agent. "The U.S. economy will not recover until the housing market revives", said Senator Johnny Isakson (R-GA) as he renewed his call for a $15,000 homebuyer tax credit to be included in the economic stimulus package now being considered by the Senate. “It may not make that bill perfect,” Isakson told the Atlanta Rotary Club of his proposed housing credit. “But it is the single best thing we can do to begin the comeback.” Isakson wants a tax break for any family who buys and holds a home for at least three years. Housing prices across the nation have fallen about 25 percent in the last two years and are cited by many economists as the foundation of many of the current financial woes. Read the whole story Here. Still unanswered - What does this mean for the second home marketplace? For the Outer Cape? 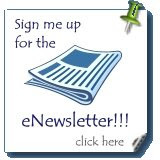 I just wanted to thank you for your regular newsletter. It is very informative and I can tell you put a lot of work into it. Though the news of late is not the best, it is still good to know what's going on in the Eastham market, and we all look forward to the turnaround (which is inevitable). If I ever look to buy more property in Eastham or sell my existing property, I'll keep you in mind and will steer my friends your way. The Boston Globe ran an article about real estate in Massachusetts and the effect that the current downturn has had on propert values. The article didn't say where the data came from (probably the Bankers and Trademen newspaper), but it discussed how property has become more affordable. Interesting reading. Of note, there was a map included that graphically showed 2008's depreciation/appreciation, by town. The Outer Cape did VERY well. I cut out a section of the map as a teaser. You'll need to go to the article to see the whole map, and the key.